This metal alert whistle is an essential item to include in any survival kit. Use to alert emergency responders to your location in a disaster or to warn people of danger. 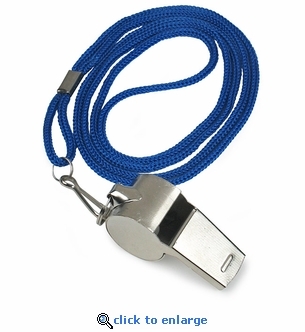 The emergency whistle is constructed of metal and comes with a lanyard. Lanyard Colors Vary. Typically there are a mix of 4 different colors per 12 pack bag. Colors may include: Green, pink, blue, red, orange, black and yellow.